I have lots to share from our first week of school but it is late so this is all you get. We are on week number two over here. My kids can not get enough of Mr. Munch and his song. We have been singing it everyday. After we fix a name Mr. Munch eats one of the letters. He is very hungry after being alone in the classroom all night. You can download the song here. My new chair brings a big smile to my face. It needed a major makeover. Here is our first class book to help us learn names, the roles of an author and illustrator, and what information the front cover gives you. I love it! We've been reading it every morning. You can download the class book here. I also write for Blog Hoppin' check out my post here. My all time favorite blog is Mrs. Jump’s Class Blog hands down. She was the first teacher blog I discovered. While blogging was not new to me (I have a personal blog that I have been writing now since 2007) teacher blogs were a new discovery. Deanna seriously changed my teaching. I’ve always been creative, but she took me to a whole new level. Barnes & Noble. This month the story is The Kissing Hand. Where it all goes down Wednesday! I'm so excited to be one of the Blog Hoppin' authors! Today on teacher week is classroom tours. Many of you have already seen my classroom pictures for this school year. Sorry nothing new to show you. I will remember to take more pictures soon. The much anticipated first day of school has come and gone. I have a classroom jam packed with new little cuties. I have 25 kids in my class. Today was exhausting. I left the school Friday with 21 on my list and showed up to 25 kids. Not prepared for that at all. We spent the day learning about our new school, rules, and procedures. I read a book all about me and the kids had to help me fill in the bubble map. One of my little girls said I look beautiful. Had to add that to the bubble map. Here are some more pictures of my finsished classroom. The pirates are from a set of pirate wall stickers I found at Michaels. My science focus board is also in this post. Shedule cards are also from The First Grade Parade. I just made a few that she did not include. I have worked really hard in my classroom getting it fun and inviting for my new kids. I am loving it! I slaved for a week after professional development meetings until the janitors kicked me out. It's super late so I'll just show you a teaser. My new clip chart. Over the summer my husband helped me come up with the pirate phrases. Thanks to Babbling Abby for the font inspiration. Love this font. I have been using it a lot. The font is called MTF Jumpin Jack. This word wall is my absolute favorite part of my classroom. 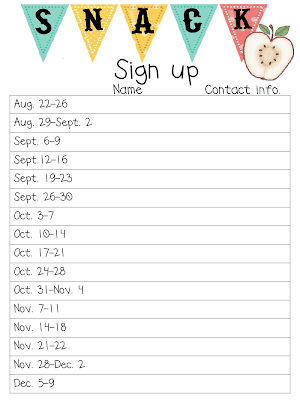 I wanted to make it last year when I discovered it on Julie Lee's class blog but never got around to it. I ran out of ribbon so it is unfinished for now. Mrs. White has an amazing classroom and I got a lot of inspiration from her. Like the title and the oh so cute octopus. This is on the kids desks awaiting their arrival in the morning. I hope everyone has a great first day of school!! I'll be back to share more classroom pictures and first day of school activities. My room is slowly coming along. Thursday evening is meet the teacher and Monday students return, so I still have lots to do to get ready in a short amount of time. Here are just a few pictures of what I have been working on. Labeling everything using my new fonts from Lettering Delights. Making a ton of Kim Adsit inspired reading comprehension posters. I am still missing border but this is how I show students birthdays. I put the kid popsicle sticks from Lakeshore in each bag. I have the child's name and birthdate on the stick and it pokes out of the bag. Before when my calendar had pockets I would put the birthday sticks in the correct pocket on the calendar.My kids always love pulling down a new bag at the start of the month to see who will be celebrating their birthday that month. I also keep a birthday sticker for each child in the bags. I made a banner out of cupcake liners. It was super easy. Just grab some cupcake liners, ribbon, and a glue stick. My husband painted this amazing chalkboard in my room and I love it! My new and improved science focus board inspired by Mrs. Jump. I made the scientist, he is still missing a hand and instruments. You may not need this but I will share anyways. In my classroom the parents donate snack for the entire class for the whole week. It works well. 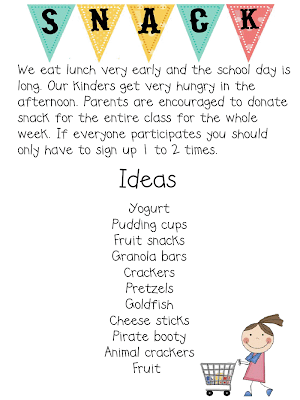 On meet the teacher night parents sign up to bring snack for a week. Click below to download. I included one for kinder and first grade. Yesterday was the first day teachers were allowed back into the classrooms. I had my work cut out for me. All the furniture was piled up in a corner of the room. I really don't get why they have to turn our classrooms upside down when they clean it. I had my mom make me some pirate kids to decorate my classroom with. They turned out adorable! She outlined the kids in black sharpie and used acrylic paint to fill in. I organized my math station tubs today and decided to redo some of the activities I had previously made. Here are two for money and time. I have the kids use clothespins with this one. 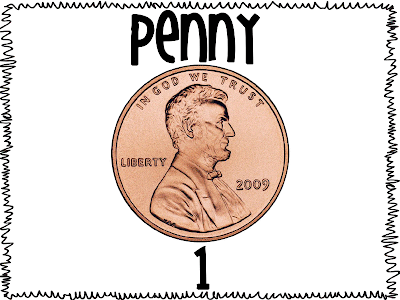 They clip the correct amount of clothespins onto the money mat. I use a mini clock with this one. 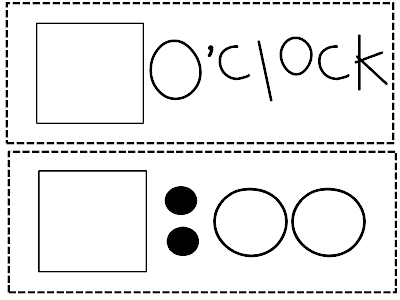 The kids move the hands on the clock and then build the correct time using number tiles. I'm a kindergarten teacher in Dallas, Texas. I have the best job ever and love what I do. I graduated from Brigham Young University and I got my Masters from Lamar University. Freebies You Have Asked For This Week!